Here you will find everything you need to know about our selection of frozen foods. As a full service dough manufacturer and distributor with well over 30+ years of experience in the industry, and supplying Hispanic frozen food products to bakeries, banquet halls, cafeterias, hospitality industry, restaurants, event planners, and wholesalers. Our products are available and consumed nationwide, even as far as Hawaii. 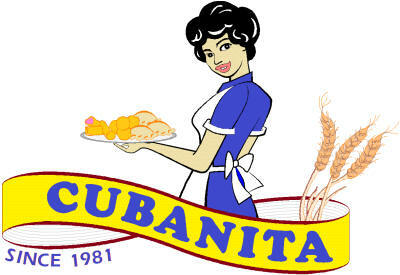 We at Cubanita Frozen Foods and our full-line of high quality products are renowned by our reputable services provide you with the tools and dedication to help your business to succeed. Family owned and operated, we have focused at satisfying our customers needs while modifying our offers and products at times to meet the ever changing demands in both, hispanic and worldwide markets. For that matter, we truly thank you for visiting our website. Please enjoy your visit and come back soon!